Pagani continues the very long teaser campaign for the Huayra Roadster with a look at the droptop hypercar’s striped rear end. Since the convertible doesn’t officially debut until the Geneva Motor Show in March, expect to see many more glimpses of the new Huayra variant in the coming weeks. 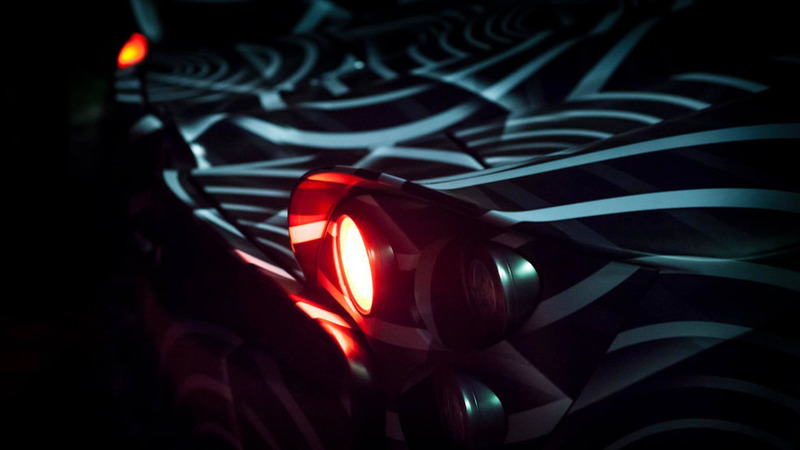 Despite the many teases, there are still few official details about the Huayra Roadster. We believe that the design uses a removable roof panel like the Zonda Roadster, and never count out Pagani’s ability to do something wild with the rest of the styling. Technically, Pagani debuted the Huayra Roadster during the 2016 Monterey Car Week, but the event wasn’t open to the public. Only the firm’s ultra-wealthy potential clients got to see the open-roof hypercar. Possible buyers have also been able to check the car out at the automaker’s factory in Italy. Pagani’s passion for performance means that the Huayra Roadster is likely every bit at capable as its fixed-roof sibling. The lack of a top probably means a new door design because the current gullwing design wouldn’t work without a top. Otherwise, expect the two variants to look quite similar. The roadster reportedly uses the same biturbo 6.0-liter V12 engine as the coupe. The output likely remains at 730 horsepower (537 kilowatts) and 737 pound-feet (1,000 Newton meters). However, a BC variant could come later with 789 hp (588 kW) and 811 lb-ft (1,098 Nm). The Italian hypercar maker plans to limit Huayra Roadster production to 100 examples. The firm has been offering preorders for months, so don’t expect many of them still to be available by the time that the droptop makes its public debut in Switzerland. We still can’t wait to see what the latest Pagani really looks like.